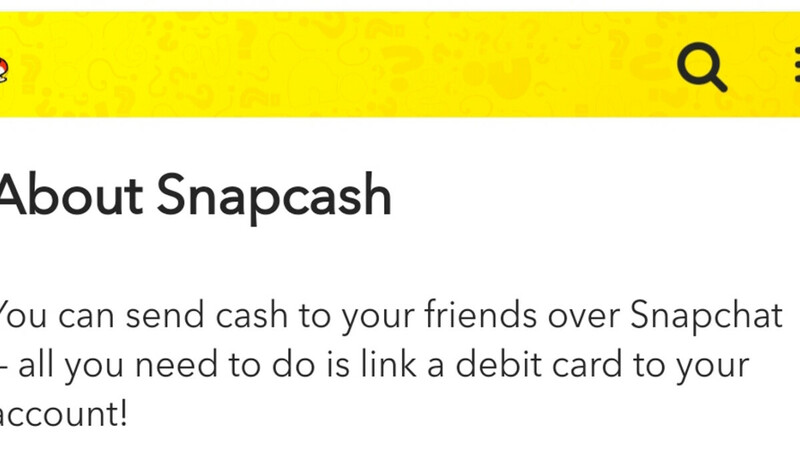 Back in 2014, Snapchat partnered with Square to offer a peer to peer money transfer service known as Snapcash. Initially, it was billed as a way for friends who are out together to pay for a joint bill or other scenarios. Sadly, most probably recognize it for headlines detailing it as a way for users to unlock adult, private content for a fee. Besides the bad press, the service has plenty of competition from more popular services such as Venmo or PayPal. Snapcash will end August 30th, 2018. Snapchat has seen a decent amount of bad press, especially concerning its more devious side. The company has also struggled to inspire the market, attract investors and has seen its employee pool shrink as a result. It would seem the company is tightening its belt and cutting some dead weight while it can. Code inside in the app revealed that the company plans to cancel the feature with a message detailing when it will end. There is no word yet what will happen to the accounts or if the service will be migrated elsewhere.